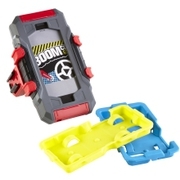 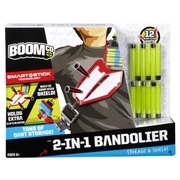 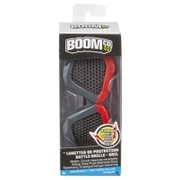 BOOMco.™ 2-in-1 BandolierDart Toys & Blasters - Awesome Blasting Gear & Toys for Boys - BOOMco. 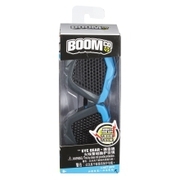 With BOOMco. 's 2-in-1 Bandolier, you'll be ready to gear up for serious blasting action on the battlefield! 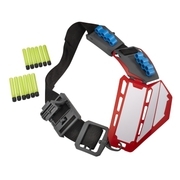 The 2-in-1 Bandolier is the ultimate dart storage and chest shield, designed to be worn over the shoulder and across the chest. 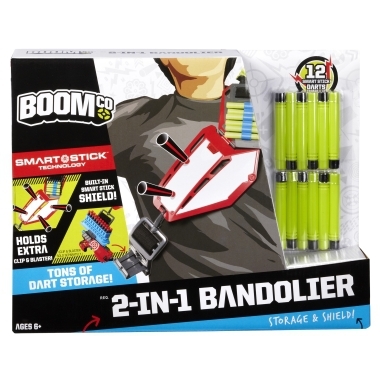 Built-in panels store 12 Smart Stick darts, and the attachment holds a small blaster and extra clip. 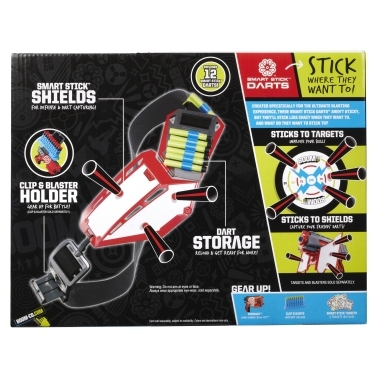 The chest shield displays a huge Smart Stick shield to capture your opponent's darts and use them yourself. 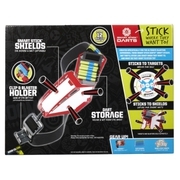 Comes with 12 Smart Stick darts. 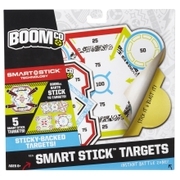 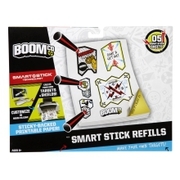 For a more personalized Bandolier, pick up the Smart Stick Refills Printable Targets (sold separately) and create your own ultimate Smart Stick blaster shield and target designs!